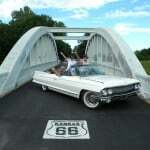 Ride Free Tours presents California and Route 66 Car Tours USA. We arrange it all, just like our motorcycle tours and past classic car tours. Contact us To join a current car tour we have planned, or to book a custom tour for your group. 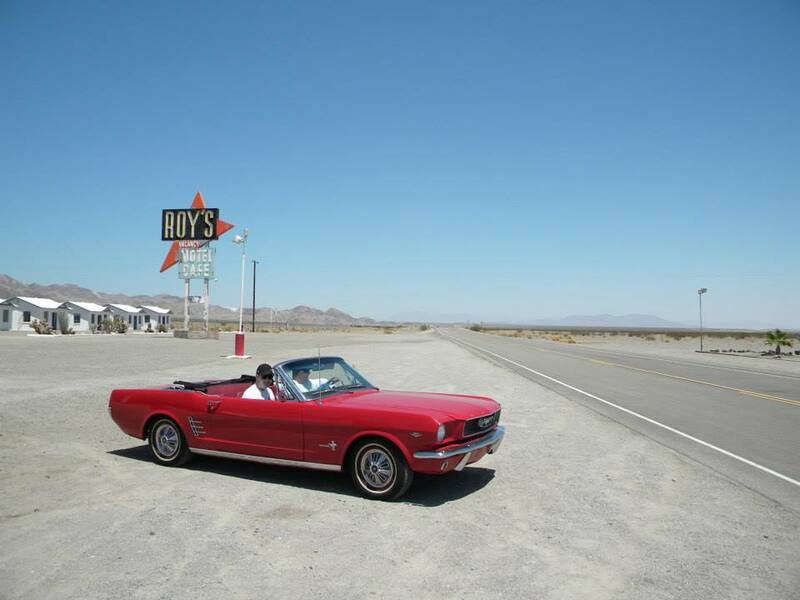 Drive the Pacific Coast Highway in a Car hire, or cruise route 66 in a car rental. 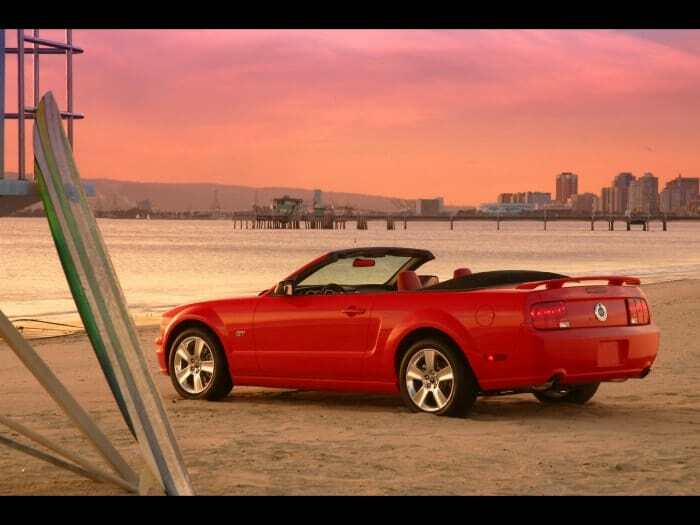 We rent the cars on guided tours along the California Coast Pacific Coast Highway. Or drive RT 66 in a car rental. Ride Free Tours leads the group in a car, and we have a support van to carry extra luggage and supplies that won’t fit into your convertible. All you have to do is have fun. We take care of the car rental, route, hotels, any worries, and anything that happens along the way. Our guides are there to show you all the amazing places along our journey. Tours are done in either new late model muscle cars, or if available choose the classic car option. 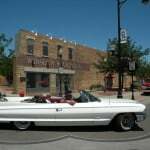 Tour 5B: Rt 66 Sante Fe to LA Car Rental and Tour – 9 Day – with late model muscle car. 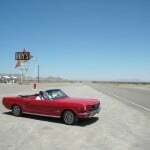 Rent a late model muscle car like a new Mustang Convertible or exotic. You can do a one way to San Francisco or rent to Las Vegas. 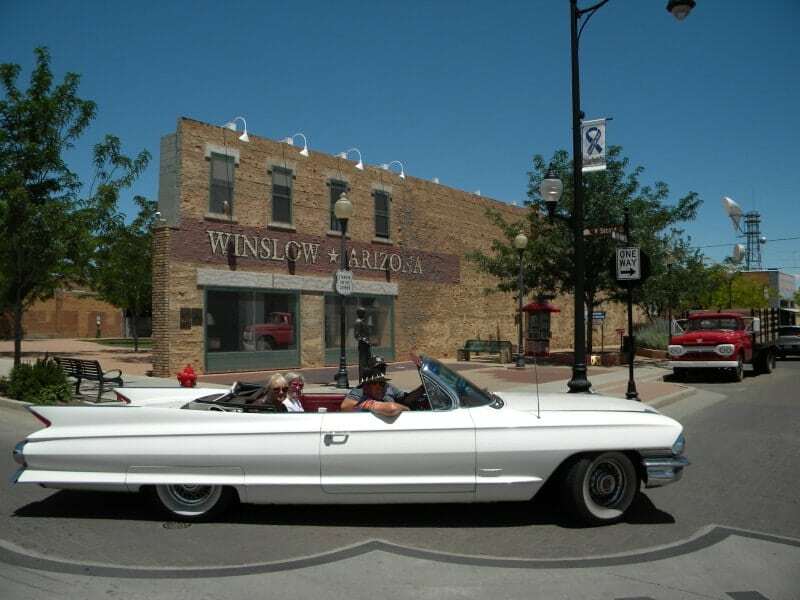 You can even rent Chicago to Los Angeles for a Route 66 car trip, or save time and rent a car for half of route 66 Santa Fe to LA. We can handle your car rental anywhere in the USA. Spend the day in a cool car like a new Mustang Convertible or exotic. Our guide takes you and the group up the Pacific Coast Highway along the California Coast, and to other famous Los Angeles spots. Some destinations: Santa Monica Pier, the end of Route 66, Malibu, Sunset Strip, the California Coast, and more. Contact us to join a day trip, or form one for you or your group. Day Tour, or Hollywood City Lights = we start after lunch and then do a night drive in cool cars with the top down on the Hollywood Boulevard and Sunset Strip. An amazing experience. A one way trip on the amazing California Pacific Coast Highway in a Car from LA to San Francisco, or San Fran to LA. With Napa Valley and Muir Woods. LA, Malibu, Santa Barbara, San Luis Obispo, Pismo Beach, The Hearst Castle, Big Sur, Monterey, Napa Valley via Muir Woods, San Francisco. No Napa on the 4 Day car tour and rental. – 2 to 3 hours of driving a day = relaxing morning, driving and sight seeing, lunch, driving and sight seeing, arrive early afternoon for activities, exploring, or relaxing . 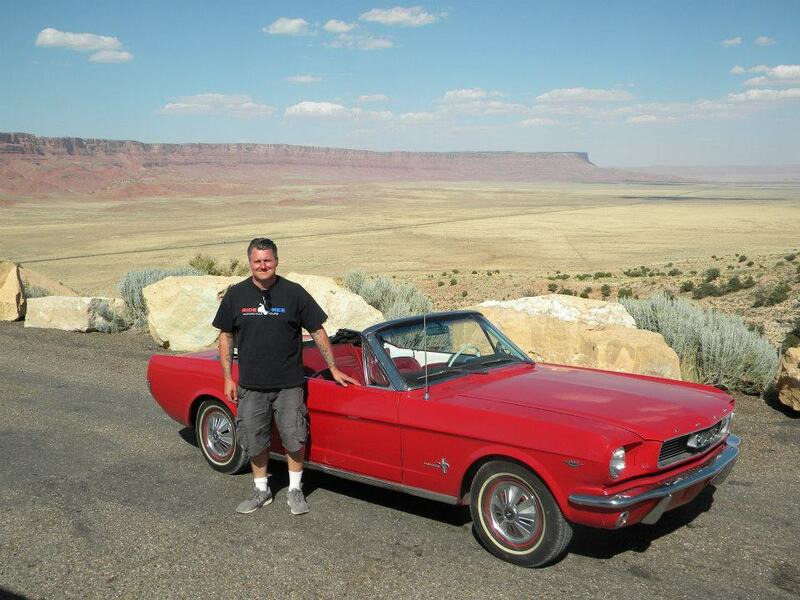 Drive your own car rental on our Los Angeles, California Classic Car 2 day tour. A guide in a car guides you places like Malibu, Santa Barbara, the Pacific Coast Highway on the California Coast. 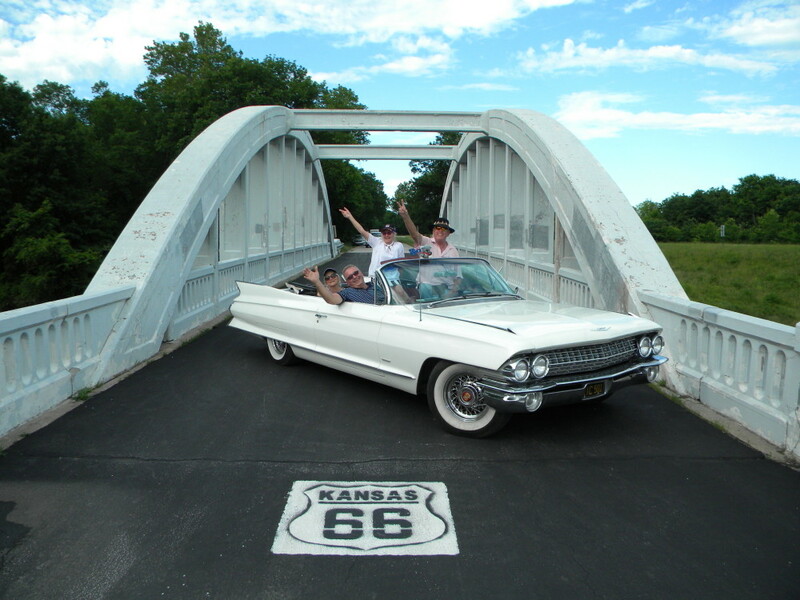 Or we do the Rt 66 Option and drive to an old desert section of Route 66 so you can get a picture on Route 66 in an American convertible next to a Route 66 sign on the road! On the 2nd night, we drive the famous Sunset Strip and Hollywood Boulevard at night under the city neon lights. An amazing Hollywood experience. -we tour up and down the California Coastline, Los Angeles and surrounding areas, Muholland Drive, and the surrounding mountains. -Los Angeles , Route 66, Oatman, Las Vegas, Santa Monica Pier, Los Angeles. Add more with more days. A once in a life time journey and opportunity not many have ever had the chance to do since the 1950’s. 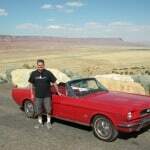 Or take the legendary Rt 66 journey in a car from Sante Fe to LA in only 9 days.